Dr. Mosquera is currently Executive Consultant, Public Health for PASS. 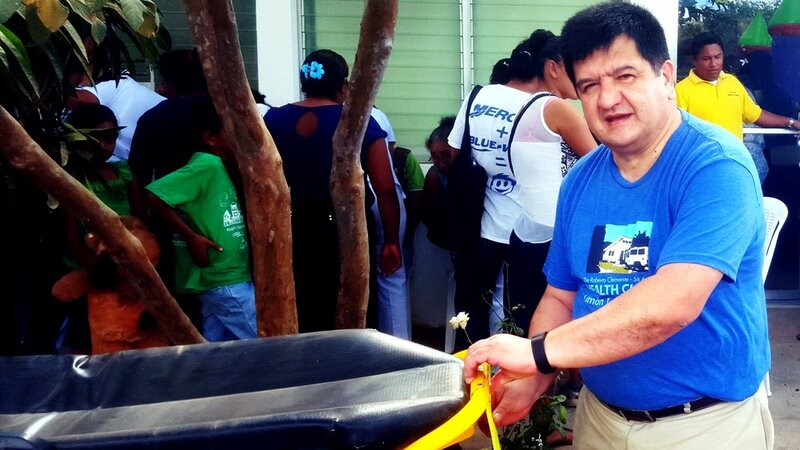 From wading through El Niño floodwaters, to reaching 8 million with deworming campaigns, Dr. Mosquera has been a monumental force connecting communities to create massive improvements in health and lives. Here, Dr. Mosquera explains his influences, values, and career trajectory. He gives an update on his current PASS portfolio, which has brought him from hospitals of urban Kyrgyzstan to the villages of rural Peru. Describe your background. How did that lead you to the medical field? I am a general surgeon. I studied in the Central University in Quito, Ecuador. I became a doctor because of living in a developing country and trying to support the community in my country, which I feel part of always. This is what called me to be part of the world of medicine and medical doctors—to try to solve the problems of people and of communities. I had an early life in a family that was wealthy compared to the average situation in the country—but I was on the “other side” of the family. My ideas and goals were always based on humanity, social justice, and especially equal treatment of people, and I always had the motivation not to make money, but to make a difference. I was educated in the Jesuit system, and my first big project happened when I was a 13-year-old student in school. I love climbing mountains, and our mountain-climbing club climbed to a lodge that was 10,000 feet (3,048 meters) high. It was an impossible feat for schoolchildren our age. But because of good direction from our leader, a priest, we reached our goal. From then, I learned that when we work together, we can do many things. I made changes in my life according to this principle. When I was a medical student, I started out in the military hospital, which was a brand-new hospital in Ecuador, fully updated and upgraded. I was there for 3 years. I worked as a general surgeon and emergency surgeon, and I was very comfortable making surgery. But I realized that the high standard at the military hospital was not realistic in my country; if you live in your bubble, with 100% satisfaction of everything you need in health, it’s not reflective of the reality of most people. So I switched to the general public health system, where I found a massive lack of services, and huge inequity. It was very difficult for people to get any kind of service from the civil health system, and because of lack of education and resources, people did not demand it. How did you enter into public health sector? What was your early career in Ecuador like? My earliest projects as a doctor in rural areas happened during El Niño—a seasonal weather condition in South America where you have massive flooding. In the villages we worked, the water was so high that I had to put my wife (who is also a doctor) on my shoulders to walk through. I continued to work on developing projects to extend surgery into the rural areas, especially schools. For example, I did a study about the incidence of cryptochidia among children in rural Ecuador, and presented my findings at an international congress of surgery. Later, based on my findings, an NGO designed mobile surgery rooms, and we went to make surgeries in the schools where children had this complication. By then, my wife and I had a child. Our first child had diabetes when he was 14 months old, and he fell into a coma. He recovered, and we came to the National Institutes of Health (NIH), in the U.S., for further treatment. He had Type I diabetes, insulin-dependent. At that time, 33 years ago, it was very difficult in Ecuador to support that kind of pathology—there were no specialists in diabetes at all in Ecuador. So my wife and I did a 6-month course in diabetes at NIH, in order to support our child. Two years later, we became specialists in diabetes. Based on our specialization, and our experience with our child, we joined with 2 young collaborators from the U.S. and created AYUDA, American Youth Understanding Diabetes Abroad. We developed this project, raised awareness, and conducted campaigns year by year in Ecuador, and later in other countries, to educate children how to handle Type I diabetes. Diabetes in general afflicts around 7-10 percent of a population, depending on the country, but Type I diabetes is around 1 percent or lower. It’s not an easy thing to treat, because you have to make tests and administer 3 to 4 doses of medicine per day. At that time, the cost of the treatment in Ecuador, per month, was around $400 dollars. The salary of a doctor in Ecuador at that time was around $95. So even though it was preventable, it was a big challenge, and a big percentage of diabetic children passed away in the first 2-3 years because there was no insulin or resources. Through AYUDA, we started some educational workshops to improve awareness in the country for the doctors and general community. We also made banks of general resources to guarantee treatment services for children. We gave the resource banks to the parents of diabetic children for the parents—not the foundations—to administer, and we encouraged these parents to assemble into an organization. Now they have a center where they develop their own services. Another important thing I did was work at Instituto Nacional de la Niñez y la Familia (INNFA, National Institute for the Child and Family), which was the largest NGO in Ecuador. I evaluated projects from around the whole country, and determined which ones were effective and deserved more support. Later I developed the volunteers program in the organization and the whole country. We developed cells of INFFA volunteers in each province, creating a giant network that covered the whole country. In this way, I reached up to 20,000 volunteers in the country. We eventually used this network to implement deworming. Deworming does not work unless it reaches each and every one in a community, so networks are very important. In Ecuador, I started the deworming program with 250,000 people, and over the years it expanded to reach up to 8 million people. At the start of each annual campaign, the president and his wife attended the inauguration, and they took deworming pills on national TV. In this way, I gave deworming to 5 presidents and their wives. Everyone, from the president showing solidarity on national TV, to the poor farmer helping the community by distributing the medicine, all supported the deworming campaign. That, to me, is public health. That’s healthy communities. How did you come to PASS, and what are your current projects at PASS? Eventually, my family moved from Ecuador to the Washington, D.C. area and I worked with U.S. international development organizations for 14 years. My job was to ensure that the proper medicines were going to the proper country. This gave me the opportunity to follow what was happening around the world, in around 86 different countries. I came to PASS because it works based on networks of support. I am currently working on three projects with PASS, in three different country contexts. In Nicaragua, we have The Roberto Clemente Health Clinic (NICAClinic), a clinic which supports its surrounding community with medical attention 24/7, 365 days a year. This is a great service, but I saw a lot of potential to develop new projects to support those communities. Nicaragua is one of the countries of the Western hemisphere most in need, after Haiti. Whatever you do there, it has to be very organized, and it has to have potential to expand. For example, for 2 years, NICAClinic had a small organic farm, and inside the clinic they offered a training on organic farming. I supported the expansion of this training in order to have it offered in other places outside the clinic. This year, 12 communities have their own organic gardens. Around the clinic, you now find people eating kale, spinach, and things that they have never eaten before in their lives. It changes the nutrition, which positively affects people’s health over the long run. It also helps to develop community. People know that together, they can make change. Quechua Benefit is a totally different reality. Quechua Benefit is an organization working in Peru, with support from the U.S., to support the indigenous people living in the highlands of Peru. They offer education, though their school Casa Chapi, and also integrated health and development of healthy communities with programs like deworming, prevention, and dental attention. Our objective is to further develop the concept of health, but also, to put in people’s mind that the solution is not in the outsiders coming to give medicines, but is in them. Education, and developing a network around health, is really important. One of the big challenges for Quechua Benefit, and one that we are working with them to address, is how to integrate education with health. 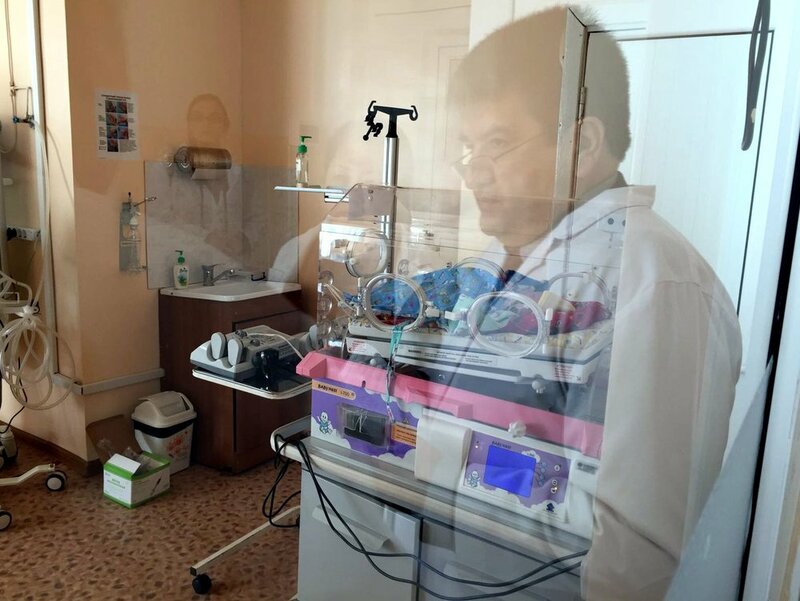 Helping Hospitals Heal Children (H3C) is a project to support hospitals for children in Kyrgyzstan. Together with other organizations in U.S., H3C tries to change the opportunities for children with serious illnesses to receive special treatment in Bishkek, the capital. When we did an assessment in early 2016, we noticed many deficiencies in equipment and medicine. However, health has to be integrated, holistic. Health is not just providing equipment and donating medicine, but changing the whole experience of people in the healthcare system. When sick children have to sleep in the same bed as their mother; when 5 children and their families share one room; when there is one broken bathroom for a whole floor of a hospital, then those aspects have to be addressed, too. H3C is a big challenge and a big opportunity to put together a coalition of organizations to create a holistic intervention for reference hospitals in Bishkek. The key in all these projects is organization and vision. Many times we have an objective, but that’s all. We don’t have organization, we don’t have vision. If you give people some resources, and you also organize, and give them space to be organized internally, then the objective can be reached with organization and vision. The biggest threat now is social inequity. The world is becoming more and more selfish. Most people love the status quo and feel comfortable with it. The challenges that face us will be more difficult unless big changes are made to change the unfair state of equity in the world. My hope is that today, people are thinking in a more holistic way. We are moving from narrow, technical approaches to holistic, humane ones. We have to keep going, to move from optimization to humanization. That’s a big challenge, but not impossible. 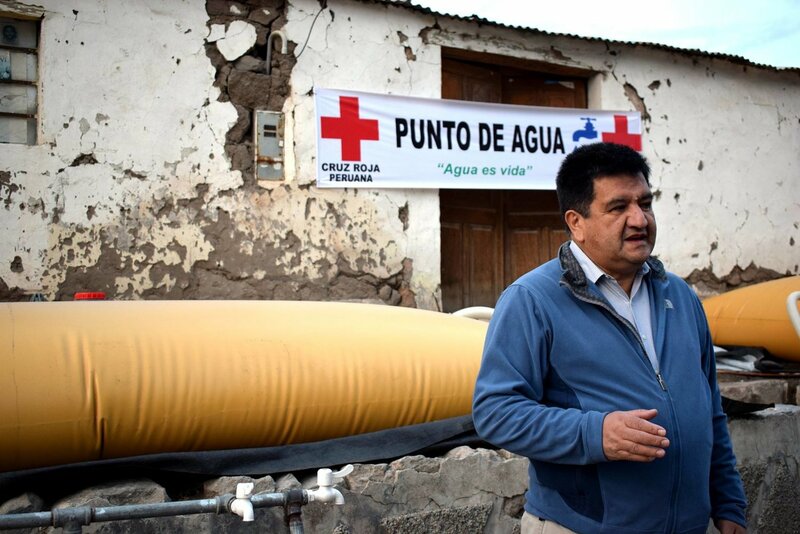 Banner image: Dr. Mosquera during a field visit in Ichupampa, Peru, in support of Quechua Benefit. No Replies to "A LIFE OF SERVICE AS A GLOBAL HEALTH CONSULTANT"